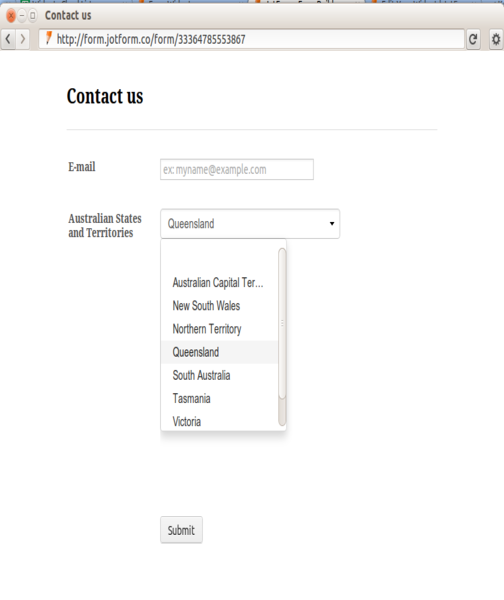 Add this fancy drop-down Australian States and Territories Picker in your form. No need to customize drop-down menus anymore. 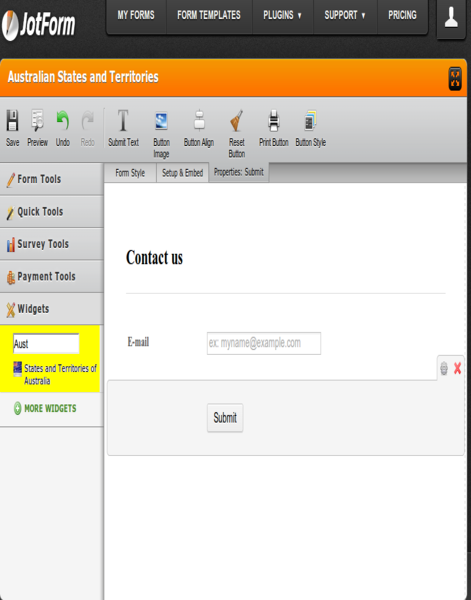 Just search for it at the Widgets section and drag and drop it into your form. No other changes or options need to be added unless you want customize the height, width or color. Save your form and there you go! 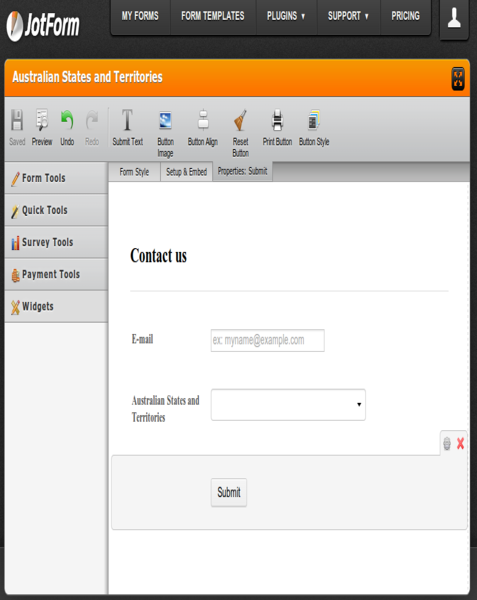 A cool drop-down menu showing a list for your Australian users.